CLEAN CARFAX NO ACCIDENTS REPORTED, BLUETOOTH HANDS-FREE CALLING, 4X4/FOUR WHEEL DRIVE, TRAILER TOW PACKAGE, RUNNING BOARDS, BED LINER, Active Grille Shutters, Air Conditioning, AM/FM radio, Black Exterior Mirrors, Brake assist, Carpet Floor Covering, Delay-off headlights, Driver door bin, Electronic Stability Control, Fog Lamps, Fully automatic headlights, Heated door mirrors, Passenger door bin, Power steering, Power windows, Rear seat center armrest, Speed control, Storage Tray, Tachometer, Tilt steering wheel, Voltmeter. Odometer is 1378 miles below market average! Recent Arrival! 2017 Ram 1500 Tradesman 8-Speed Automatic HEMI 5.7L V8 Multi Displacement VVT 4WD What is "Wholesale To The Public" from MCA? 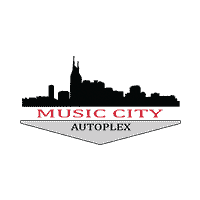 Wholesale is our heritage at Music City Autoplex!! We've been selling wholesale vehicles to dealers at auctions in Dallas and Nashville since 2012. Dealers recondition, mark-up, and then sell these vehicles through Retail outlets to consumers. Well now MCA is offering you DEALER ACCES through our Wholesale To The Public program at MCA. How does it benefit me? More Saving! These vehicles are offered at crazy-low WHOLESALE PRICING. More Options! Constantly changing inventory – providing fresh options for you to choose from every week! Funding & Extended Warranties offered on all Wholesale To The Public inventory. Check out our Wholesale To The Public vehicle inventory now and SAVE today! !